Constituted as 447th Bombardment Group (Heavy) on 6 Apr 1943. Activated on 1 May 1943. 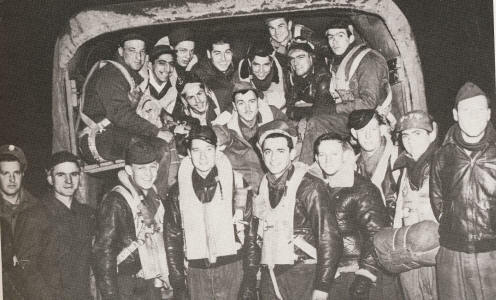 Trained for combat with B-17's. Moved to England in Nov 1943 and assigned to Eighth AF. Entered combat in Dec 1943 and operated chiefly as a strategic bombardment organization. From Dec 1943 to May 1944, helped to prepare for the invasion of the Continent by attacking submarine pens, naval installations, and cities in Germany; ports and missile sites in France; and airfields and marshalling yards in France, Belgium, and Germany. During Big Week, 20-25 Feb 1944, took part in the intensive campaign of heavy bombers against the German aircraft industry. Supported the invasion of Normandy in Jun 1944 by bombing airfields and other targets near the beachhead. Aided the breakthrough at St Lo in Jul and the effort to take Brest in Sep. Pounded enemy positions to assist the airborne invasion of Holland in Sep. Also dropped supplies to Free French forces during the summer of 1944. Turned to strategic targets in Germany in Oct 1944, placing emphasis on sources of oil production until mid-Dec. 2nd Lt Robert E Femoyer, navigator, won the Medal of Honor for action on 2 Nov 1944: while on a mission over Germany, his B-17 was damaged by flak and Femoyer was severely wounded by shell fragments; determined to navigate the plane out of danger and save the crew, he refused a sedative and, for more than two hours, directed the navigation of the bomber so effectively that it returned to base without further damage; Femoyer died shortly after being removed from the plane. 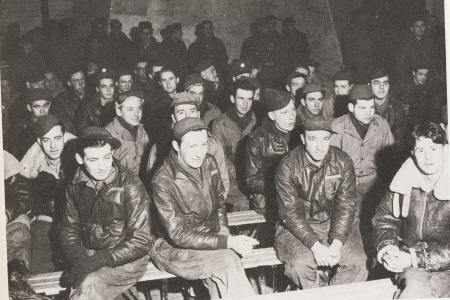 During the Battle of the Bulge, Dec 1944-Jan 1945, the group assaulted marshalling yards, railroad bridges, and communications centers in the combat zone. Then resumed operations against targets in Germany, attacking oil, transportation, communications, and other objectives until the war ended. During this period, also supported the airborne assault across the Rhine (Mar 1945). Returned to the US in Aug 1945. Inactivated on 7 Nov 1945.